Pricing for AMD’s anticipated Threadripper platform is out in the open and completely undercuts Intel’s counterparts. The company has also officially revealed performance comparisons (Cinebench R15) between the Core i9-7900X and the Threadripper 1920X as well as performance numbers for the Threadripper 1950X. The top of the line 16 core / 32 thread part will be starting at $999 MSRP – the same price as Intel’s 10 core / 20 thread part. 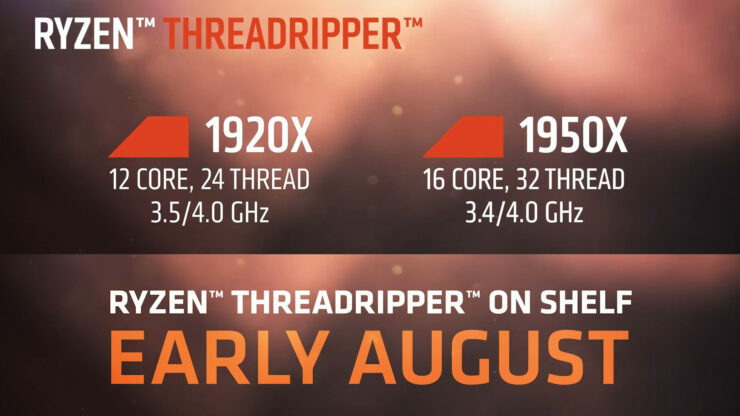 AMD’s Threadripper ‘Whitehaven’ CPUs are going to be landing very soon – in early August to be exact and the red giant has stuck true to its colors and introduced them at very affordable pricing. The 12 core / 24 thread part, the Threadripper 1920X, will cost a mere $799. I say mere because the comparable Intel Core i9 7900X (with 10 core and 20 thread) costs $999 as well. In fact, the Threadripper 1950X (16 core / 32 thread) is priced at $999 and that’s a lot faster than the Core i9 7900x AMD. 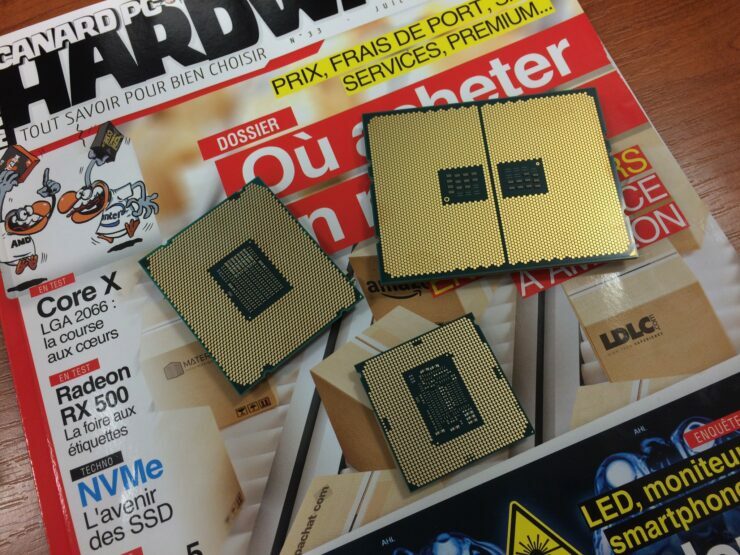 Given below are the benchmarks that were conducted on a livestream by AMD. As expected, Intel does have an edge in terms of performance per core figures – but in Cinebench R15, the difference isn’t enough to justify the Intel premium. It goes without saying however, that Cinebench R15 is just one data point and its very much possible that general application and gaming performance will see heavy divergence from synthetics. That said, based on these preliminary numbers, AMD has succeeded in rolling out a truly impressive product with Zen. 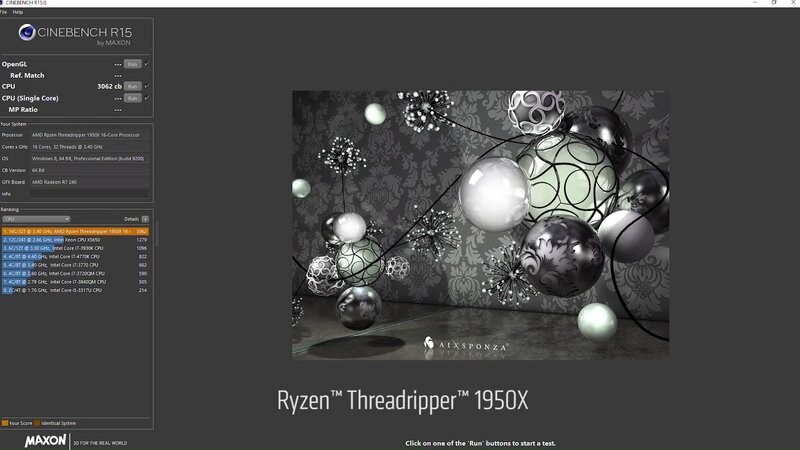 The Threadripper and Whitehaven X399 platform is something that will build upon the disruption that Ryzen has brought and will continue to upset the x86 paradigm that we had been observing for so long (with Intel being the only real option for performance conscious buyers). As I mentioned in my initial article a long time back, AMD has called check and Intel seems to be very slow to respond. Whether or not Threadripper is able to beat Intel offerings core-for-core or clock-for-clock is irrelevant – they will knock out the competition where it actually matters: Perf-Per-$. Before we go any further here is the Whitehaven X390 lineup (aka Threadripper). This is very good news for any tech enthusiast waiting to go with a Ryzen/Threadripper build. All this information points to the fact that we are looking at a very real AMD comeback on the compute side of things. Ryzen is not only going to be a game changer for the company in terms of its profitability (in the long run) but also a status quo shattering product for the x86 industry at large. Keep in mind however, that caution is advised as far as raw gaming performance is concerned. Games usually are not capable of utilizing a lot of threads and instead rely on high clock rates, applications like server/enterprise and rendering farms however are going to benefit from the arrival of Ryzen a lot. That is the industry where it is truly going to be a game changer, providing Intel-level performance at 1/2-1/3 the cost.